Before discussion of the role of the FDA U.S. Agent, it is useful to understand Establishment Registrations and Product Listings. These are not the same as FDA approvals, but are nonetheless required. Establishment Registrations and Product Listings exist so that FDA can maintain a catalog of all drug products in commercial distribution in the U.S. Indeed, these requirements apply to most if not all FDA regulated products. The requirements are applicable to, and vary across, animal and veterinary, cosmetics, drugs, food, medical devices, radiation-emitting products, tobacco products and vaccines, blood, and biologics. 4. If FDA is unable to contact a foreign registrant directly or expeditiously, FDA may provide the information and/or documents to the United States agent. FDA’s providing information and/or documents to the United States agent is equivalent to providing the same information and/or documents to the foreign registrant. 2. Reviewing, disseminating, routing, and responding to all communications from FDA including emergency communications. Foreign firms may designate their FDA U.S. 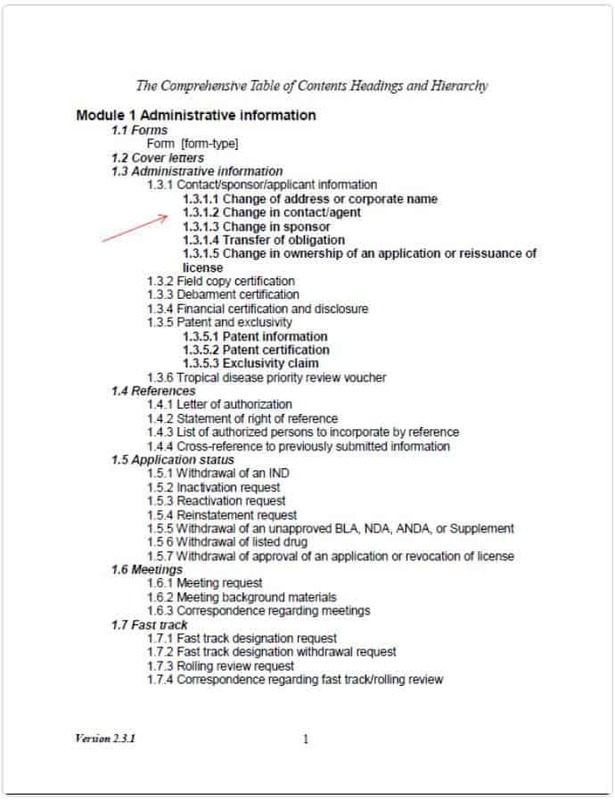 Agent as part of the eCTD submission, by including a letter of appointment in Section 1.3.1.2 (see Figure 1: Excerpt of FDA Comprehensive Table of Contents Headings and Hierarchy). The letter is included as a separate document, and the newly appointed FDA U.S. 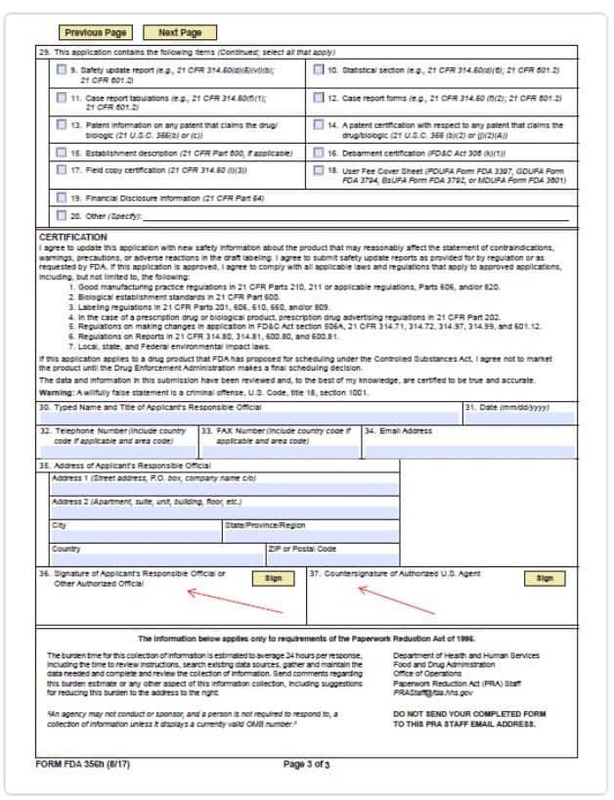 Agent will also sign Form 356h (See Figure 2: excerpt of FDA form 356h). Note that the form requires both “36. Signature of Applicant’s Responsible Official or Other Authorized Official” and “37. Countersignature of Authorized FDA U.S. Agent”. When choosing an FDA U.S. Agent, it is important to select someone who brings regulatory insight and understanding to the mix. It is not enough that the FDA U.S. Agent answers the phone, responds to an e-mail or forwards a letter from FDA. Remember, FDA views communications with your FDA U.S. Agent as tantamount to communication with you. Therefore, you need an FDA U.S. Agent who can answer urgent questions, is current in the regulations and can help you maintain compliance. 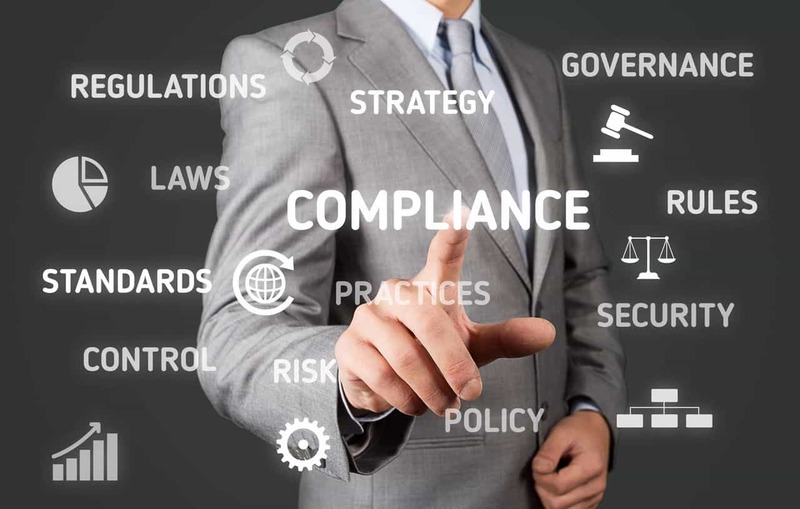 The synergy of utilizing your regulatory consultant/eCTD submission service as your FDA U.S. Agent should be considered. BRG scientists comprehensively integrate products, therapeutic areas, dosage forms and FDA regulatory pathways. BRG combines clinical and commercial insights to shepherd the strategic development of drug products, biologics, medical devices, and combination products. Our team possesses extensive experience in the comprehensive integration of products, indications, dosage forms and FDA regulatory pathways. We offer turnkey development assistance to include formulation, medical device design, toxicology, pharmacokinetics, pharmacodynamics, clinical, statistical, epidemiology, CMC/QSR, labeling and safety surveillance consulting. We source and interact with support organizations worldwide. These include contract laboratories, testing facilities, CROs, CMOs as well as API and component suppliers. Contact BRG to show you the way, or to simply help you along the way. Mikel Alberdi, MPH, RAC is Director of Regulatory Affairs for BRG. He has more than 15 years of regulatory affairs experience, with expertise in facilitating FDA meetings and compiling NDA, 505(b)(2), and ANDA submissions. The opinions and statements in this paper are solely those of Mikel Alberdi. If I am required to register my drug facility and list my drug product, how do I proceed? as accessed at www.fda.gov on February 1, 2018. The Comprehensive Table of Contents Headings and Hierarchy, Version 2.3.1, page 1 of 42 as accessed at www.fda.gov on February 1, 2018. Application to Market a New or Abbreviated New Drug or Biologic for Human Use, Form FDA 356h, page 3 of 3 as accessed at www.fda.gov on February 1, 2018. BRG is a global pharmaceutical consulting firm with extensive experience in the strategic development of drug products, biologics, medical devices, combination products and in FDA regulatory affairs. As such, BRG is an integral part of client decision-making processes with regard to the designation of FDA U.S. Agents and Official Contacts. In addition, BRG routinely files establishment registrations and product listings, including eCTD and CDER Direct electronic submissions.